To bring the most convenience, the most satisfaction with the best price for travellers. To create and remain the best working environment for staffs who have passion, enthusiastic and ambition in developing themselves. To be responsible for sustainable tourism development . 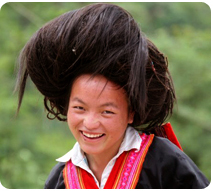 Working with Sapa Travel is distinct from many other companies in the industry. We offer a smaller atmosphere and pride ourselves in our honesty and commitment to your travel. Whether you are a specialty tour operator or a large services company exploring a niche market, we try our best to accommodate your specific needs by maintaining open, honest lines of communication, providing relevant cost structures and explaining the difficulties and challenges, in advance, for selected destinations. Most of all, you will experience what it means to have a flexible, dependable and insightful agent, on the ground and on top of your needs. 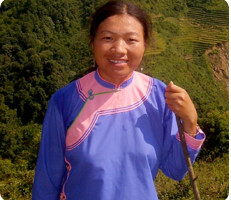 Recognized as a “Sapa Destination Expert” on worldwide travel forum – TRIPADVISOR “Certificate of Excellence” for service in 2012 by TRIPADVISOR and voted in top 10 best tours in Sapa since 2010, we are proud to offer you a full-range of travel services in Lao Cai with aim “Best Deals, Expert Advice”. “Customers are our unique boss. No customers are no jobs, no company, no director, no staffs.” Our team know clearly that customers play very important role in our development , they bring us jobs, opportunities and they can dismiss any one in company from director to staffs by simply way buying product from other companies. So we always put our customers to the center position of our purposes in any daily work. 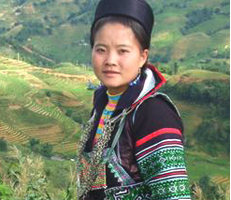 The Queen of the Mountains, Sapa sits regally overlooking a beautiful valley, lofty mountains towering over the town on all sides. Welcome to the destination in northwest Vietnam, gateway to another world of mysterious minority cultures and luscious landscapes. The spectacular scenery that surrounds Sapa includes cascading rice terraces that spill down the mountains like a patchwork quilt. The mountains are often shrouded in mist that rolls back and forth along the peaks, offering tantalizing glimpses of what lies in wait on a clear day. 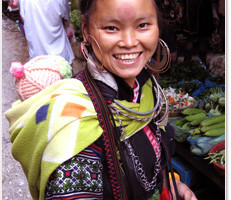 The valleys and villages around Sapa are home to a host of hill-tribe people who wander in to town to buy, sell and trade.